Sagar media inc . India -UK Future Tech Festival launch of healthcare for various diagnostic details with AI for mobile application with respect to rural reach with Niti Aayog. A downloadable version of the agenda is available here. The TECH Rocketship Awards are a joint initiative from the Department for International Trade and India, having inspired the endorsement of The Duke and Duchess of Cambridge, British Prime Minister Theresa May and some of biggest names in Indian business. The 2018-19 TECH Rocketship Awards target India’s top tech entrepreneurs and scale-up businesses, providing them with an opportunity to win international business development support in the UK. The award categories for the competition this year include fintech, med-tech, internet of things, cloud computing and data analytics, cyber security and artificial intelligence. The awards also include an additional spot under the ‘judges’ award for creativity’. Millions of interactions link India and the UK, from family to finance, sport to science, and with technology cutting across everything we do. This is recognised at the highest level by the strategic partnership between our two governments, which looks to capitalise on our existing connections so that millions more British and Indians can exchange and learn, travel, trade and thrive together. Speaking side by side, the Rt. Hon. Dr Liam Fox MP, UK Secretary of State for International Trade and Shri Manoj Sinha, Indian Telecoms Minister will deliver their inaugural speeches, reflecting on the important role technology plays in this partnership, and helping you to frame your festival experience within ‘the big picture’. Access to data is becoming increasingly important in the development of business and services, and India is rapidly becoming one of the most data-rich countries across the globe. At the same time, there is a need to strike the right balance between access to data, smart regulation, and individual rights to privacy and security, to make sure we have the right data frameworks to allow for the development of intelligent economies. This televised roundtable will bring together key senior UK and Indian leaders to debate the role of data in the development of the economies of the future, setting the scene for an inspiring day of learning, sharing and interactivity. 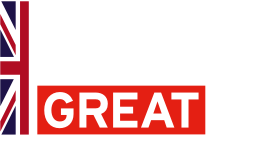 The roundtable will host CEOs, Vice Presidents, Directors and Founders from across the best of UK and Indian technology, ranging from large corporations to small to medium enterprises. Expect to hear from: 3one4 Capital, AcornOakNorth, AGBT, AstraZenica, Aviva, BT, Carbonculture, Chalo, Control Risks, Equiniti, Flipkart, Founders Factory, G4S, Inmarsat, Max Bupa, Mobikwik, OCS, Orbo, People.io, PwC, RELX-Elsevier,Renishaw, Rolls Royce, Standard Life Aberdeen, Tevva Motors, TVS Logistics, Vidrona Ltd and Vodafone. What are the critical issues defining global technology right now, and what is going to be driving the evolution of technology into the future? Hear leading UK and Indian technology luminaries debate some of the most important questions affecting how we WORK, LIVE and PLAY across the globe. The Indian start-up ecosystem has seen significant evolution in recent years. Start-ups are honing in on emerging technologies such as AI, Machine Learning and the Internet of Things to solve key challenges such as healthcare, education and financial inclusion. These innovations have the potential to create jobs, transform economies and enhance quality of lives, not only domestically, but also on a global scale. Artificial Intelligence is set to transform healthcare provision across the globe and is already playing an important role in supporting diagnosis, treatment planning and ongoing patient management. The UK Department of International Trade and NITI Aayog have come together to launch a £1m programme bringing the best of UK AI technologies to India. Starting this December, UK companies will be implementing their solutions in district hospitals and Primary Health Centres across some of India’s most challenged districts – helping them improve access to diagnostic tests, overcome workforce shortages, and lower healthcare costs. Come and hear from 5 experts who have been working with and for communities across India to develop transformative technologies ranging from next generation voice assistants to locally managed solar energy infrastructures. All the projects were driven by a human-centred approach that puts people at the heart of technological innovation. They will show how this strategy is not only good for society but great for business too, provoking new ideas that might have a worldwide market. One of the major challenges in the commercialisation of innovation is to get academic research from the lab to the shelf in the market place, whether in the UK or India. What can we learn from the high value manufacturing catapults that have played a unique role in bridging this gap in the UK? Big data can provide valuable insights for governance and innovation in today’s world. But when talking data, conversations can carry a heavy focus on privacy and data protection. The emergence of new and scalable technologies of the future determines not only the way we do business today but will change the future of work. Of the 4.5 m people employed in the IT-ITES industry today, 1.5-2 m are expected to require reskilling in the next 4-5 years. 12.00.p.m-01.00.p.m Future @ work – Uncertain Tomorrow? 03.00.p.m-05.00.p.m In the Event of a Cyber Attack… Are you ready to respond? In today’s digitally hyper-connected world, we should no longer be asking ‘Can a cyber-attack happen to us?’ – the answer is yes. Instead, the question should be ‘Are we ready to respond?’. In India, up to 50% of food can be lost after harvesting due primarily to lack of ‘cold chain’ – a temperature controlled supply chain. Picture this! One fine morning as you wake up and set out to start your day, you realize that the spectacles resting on your nose is actually playing games with your mind – quite literally and figuratively. Yes, Ben Franklin’s i nvention today can serve as a gateway for a completely immersive and disruptive world of technological amelioration; one that allows convergence across devices and also extends its advantages to a myriad of business sectors. The role of IP is critical in the success of future technologies, but the IP system can feel complex and challenging, especially when trying to accommodate and stimulate innovation. Mr. Sharad Kumar, Co-Founder and Director, Virtual Presence Ltd.
11.00.a.m-05.00.p.m Experience the excitement of a live speed hacking contest, designed by experts from the Fintech ecosystem. Teams of developers, designers, innovators and creatives drawn from the UK and India’s Fintech start-up communities will come together to compete in a day-long creative problem-solving event.